The college has an excellent Library and Information Center, one of the central support services of the institution, which acts as a primary source for information seekers, be it the students, faculty or researchers. It is carefully designed to maximize natural lighting to the users and provide a comfortable seating and reading environment. The library is well equipped with modern facilities and resources in the form of CD-ROM, online database, video cassettes, books, journals, back volumes of journals, thesis, WHO publication- journals and E- books. It has membership with leading information center including Health Sciences Library Network, and HELINET, British Council Library Network, The Current Awareness Service, Selective Dissemination of information services and Electronic Public Access Catalogue (EPAC) services are the special features of our information center. The Central Library also provides its service to the user community through seven well-equipped Departmental Libraries and two Hostel Libraries, (Girls Hostel Library and Boys Hostel Library). The institute has one fully-furnished seminar hall. The hall has a seating capacity of 70, and is equipped with state-of-the-art audio visual equipment like Slide and Film Projectors, Video Projectors and Cameras, TV's, VCR's, LCD, built-in Audio Systems, pull down screens and public address systems with Cordless Microphones. Regular guest lectures by dignitaries from India and abroad are conducted. Personality development and Communication skills workshop are organised regularly. We belive in overall development of our candidates. ....is beautifully decorated where you will come across many a girl work at her assignment. No, it is not only for work but it is place for refreshments as well. The atmosphere here is cozy and comfortable. Established in 1997, not only is the beautifully landscaped Girls Hostel centrally located, but also provides a good and safe atmosphere for the girls. 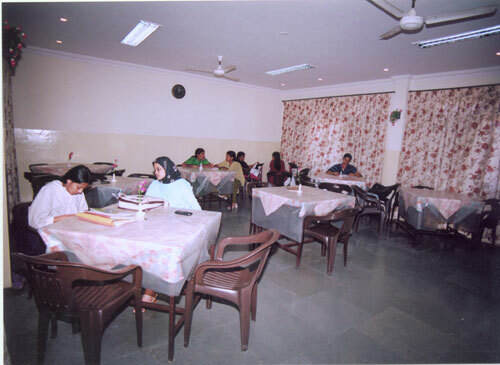 The Hostel is at a distance of 2 kms from the College and is well connected by bus and other means of transport. The residents have access to medical aid and counseling within the hostel premises besides in-house laundry facilities. A fully equipped kitchen provides wholesome vegetarian food and the hostel has an excellent library as well as TV and VCD facilities. Indeed, the concern, facilities and atmosphere give a soothing feeling to the parents/guardians who leave their wards in our hostel. The new Boy’s Hostel of the college is conveniently located in the heart of the city and close to the college, with all modern facilities and dedicated staff. The hostel has been designed not only to make the stay of the students comfortable, but also to make them feel at home, to boost their morale and to encourage them to study. The hostel mess has an ultra modern kitchen with state of the art equipment to prepare the food hygienically and a beautiful dinning hall. 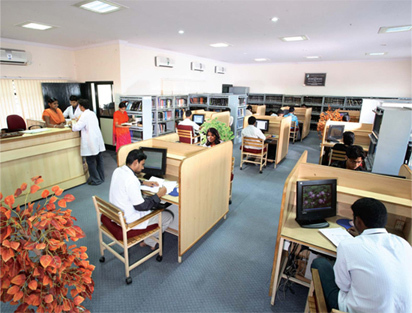 A library with adequate number of books and journals attracts and encourages the students to study more. The hostel has been provided with a full generator back up. Students can spend their free time either by playing indoor games in the recreation room or by watching their favorite programs in the common room. Every student has been provided with a broadband internet connection and every room has a telephone to receive calls directly. A prayer room and a Pooja room have been provided to boost the morale of the students. In all the New Boys Hostel of Al-Ameen College of Phamacy is a “home away from home”. The department has maintained medicinal plants in decorative pots in the college campus to familiarize students about the herbal drugs included for study in their curriculum. Plants are procured from established nurseries of medicinal plants such as GKVK, ENVIS (formerly FRLHT), Lalbagh botanical gardens etc. The plants are labeled to provide the basic information regarding their source, family, chemical constituents and uses.